Franklin Delano "Frank" Smith, 82, of Dans Branch, passed away Thursday, February 18, 2016, at Emogene Dolin Jones Hospice House in Huntington, W.Va. Born July 10, 1934, at Borderland, W.Va., he was a son of the late Okie Smith and Stella May Smith. In addition to his parents, he was preceded in death by his first wife and the mother of his children, Dorothy Justice Smith; two infant children, Franklin Delano Smith Jr. and Wilda Smith; a sister, Blanche Hicks, and three brothers, James, Bobby and John L. Smith. Frank was the longtime owner and operator of Frank Smith Body Shop and Used Cars. 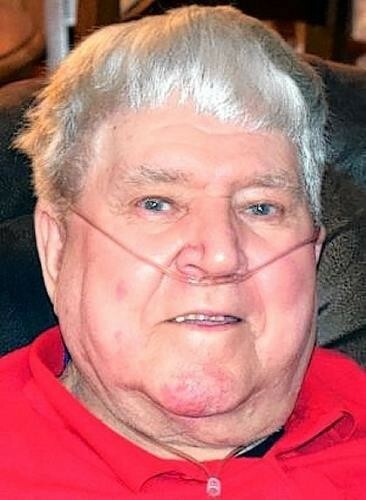 He was known throughout the Tug Valley region as a fine auto body repairman. He earned the trust of and gained countless friendships over the 57 years that he operated the business. While Frank was very dedicated to his business he was also dedicated to the enjoyment of his family. He used his time and energies away from work traveling with the family to one destination or another. He was an avid Cincinnati Reds baseball fan and took his children to many Reds games in Cincinnati. Frank was a lifelong sports enthusiast. He was a Duke basketball fan and a fan of NASCAR racing. He was a good bowler and had bowled in various leagues over the years. He also enjoyed the time he spent fishing. Frank was a member of the Nolan Freewill Baptist Church and he was a veteran of the United States Army. Frank was a beloved, adored and respected husband, father, grandfather, friend and good neighbor to many. His passing deeply saddens everyone who had the pleasure of knowing him. He will be lovingly remembered always. Survivors include his wife of 20 years, Mary Marcum Smith; three sons: Larry Smith of Chattaroy, and Danny Smith and Okey Smith, both of Dans Branch; four daughters, Rhoda Diamond of Dans Branch, Terri (Wes) Kendrick of Belfry, Ky., Sarah (Steve) Steadman of Newnan, Ga., and Rhonda (Brice) Long of Charleston, W.Va; 17 grandchildren; seven great-grandchildren and a host of nieces and nephews. Visitation is from 6-9 p.m. Sunday, February 21, at Weaver Mortuary in West Williamson. Funeral services will be conducted at noon Monday, February 22, at the mortuary. Reverend Ray Taylor and Reverend Earl White will officiate. Interment is in Collins Cemetery at Dans Branch. Pallbearers include Lee Diamond, Ty and Tommy Hensley, Brice and Ethan Long, Eddie Bob, Johnny and DJ Collins. You may express online condolences at www.weavermortuaryinc.com. Weaver Mortuary of West Williamson is serving the Smith family.